This was an article written by one of our managers and was recently printed in an industry trade journal. 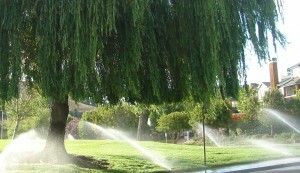 It speaks volumes about our company’s irrigation know-how. As an irrigation technician, you will be viewed by your clients and colleagues as a technically advanced problem solver. You will be expected to get the job done where others have failed or have passed on a project or problem that has defied an easy solution. You must be prepared to take on the multiple challenges of appropriate assessment, information gathering, analysis, and the formulation of a comprehensive solution. You must also be able to resolve the challenge within a short time frame and often with little prior knowledge of the irrigation project or system you have been requested to work on. This challenging task requires preparation, organization of thought and materials, and mastery of a tool chest of technical knowledge and specialized equipment to ensure you can accomplish the job expected of you. To become a proficient irrigation technician requires extensive training and field experience. Once you have achieved the basic technical proficiency required by this position, you must further hone your skills to be considered among the best practitioners, capable of solving the most difficult irrigation problems. Maintain an accessible library of relevant technical information. Industry manufacturers are an excellent source for this material. You should have at your disposal technical manuals from all the most commonly encountered manufacturers and familiarize yourself with the available products and specifications. Develop relations with your irrigation equipment vendors and manufacturers. Seek out the most knowledgeable staff and leverage this resource to help solve problems and find the most appropriate products. Participate in manufacturer and vendor training events and product presentations. Keep a detailed log book of everything you do. Questions about what was done on a project often come up long after the work is completed. Be prepared to access this information quickly with a chronological project log. Understand the basic physics that are at play within irrigation systems. You may be a proficient technician with mastery of standard procedures and specifications, but an understanding of the basic theories underlying system operation and design will allow you to solve any problem you encounter. Taking an entry-level physics course is an excellent way to gain this knowledge. Assess the entire system you are working on, not just the repair or project at hand. This system knowledge may lead to a quick solution and prevent unnecessary or inappropriate work being done. This information will also allow you to assess comprehensive system needs that could provide valuable information for your client and your company. Pass on any recommendations you have for system improvements or observations of deficiencies in writing to your client or manager, even if it is not related to the job you were requested to perform. Always beware of coincidental problems that may seem related but are not. Perform thorough diagnostics and rule out all possibilities before formulating a solution based on preliminary observations. Always check twice before you leave a project site after performing repairs, diagnostics, or system maintenance. Ensure that everything you touched is operational and ready to go. Avoid the personal embarrassment and loss of confidence you will experience from your employer and client if a valve is left on or a controller is not programmed properly. We all make mistakes, but when they are made by the technical expert, they are not so quickly forgotten or forgiven. Maintain a clean, organized, and well-stocked service vehicle at all times. Track your inventory of commonly used parts and tools, and maintain it as needed. Ensure that your storage methods are highly efficient, and take the necessary action to make improvements as needed. Be prepared to work with allied professionals to accomplish your projects. The irrigation technician will often need to consider paving; high-voltage electrical, structural, domestic plumbing; and other specialty trades to accomplish the project goals and should have a working familiarity with these trades. Know when your scope of work requires another trade and rely on trusted professionals to advise and assist as needed. Paul Thunstrom is the Enhancement Division Manager for Gardeners’ Guild, Richmond, Calif., and is Landscape Industry Certified. Paul has a B.A. in Environmental Agro-ecology from UC Santa Cruz and has 23 years experience in landscape and irrigation design, construction, greenhouse nursery and agricultural systems management. He is also a graduate of the ASLA Landscape Architecture Certification Program, UC Berkeley. Paul most recently completed UC Berkeley’s LEED for Landscape Architecture. He has been an employee-owner since 2000.